Everyone thoroughly enjoyed The Magical Tales show with Mario Morris & Veronica. We really were left mesmerized by some of the illusions performed on stage – still wondering how they were done now! Truly enjoyable and professional performance and would definitely book again! 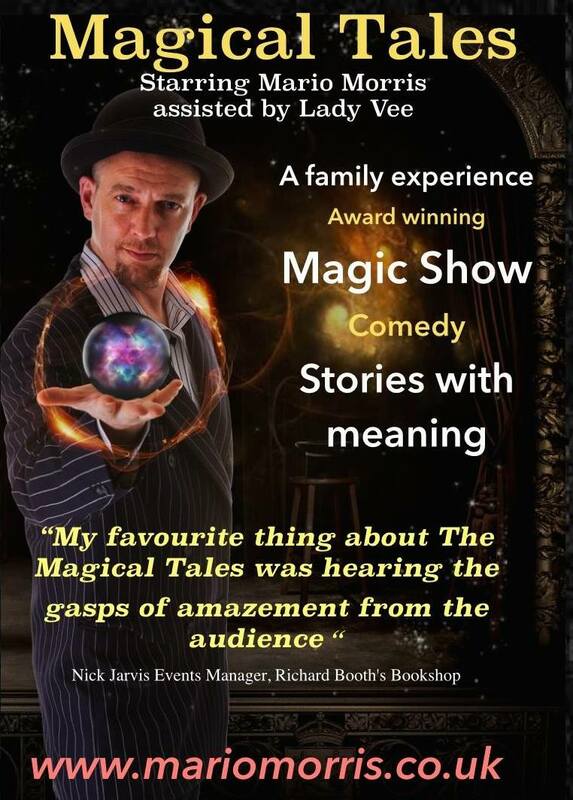 A Family Magic Show – entwining magic and tales in an enchanting show for all the family. Sleight of hand, magic, stories, high impact visual effects and a guaranteed high-energy finale that will have everyone clapping and cheering! 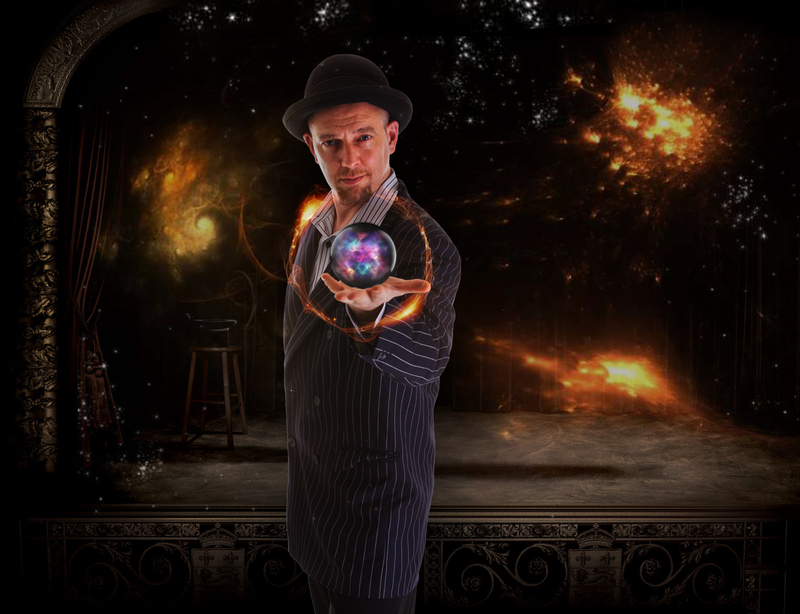 The Magical Tales Show stars Mario Morris – an international magician and performer, assisted by Lady Vee. Together, they combine magic, story and drama to enchant both young and old. This show has been performed both locally and internationally, receiving rave reviews where ever they go. Magical Tales last approximately 1 hour and we suggest an interval of about 15 minutes. However, we can tailor our show to fit into your event and can perform Magical Tales in 30 – 45 minutes with magic, comedy and stories themed to your occasion. If you would like to discuss your event with us and check our availability, please email HERE or call us on 07865402281. We are here to help and committed to bring great entertainment and magical moments to you. The Magical Tales show is an enchanting magical show for the whole family. Both children and adults are mesmerised by the enchanting stories and magic throughout the show. The show lasts for approx. 60 minutes. We suggest a 15 minute break in between the two sets. We can tailor the show to fit in with your occasion of course and can last from 30 – 45 minutes, still providing a full entertainment program. I am organising an event - how do I book your show? 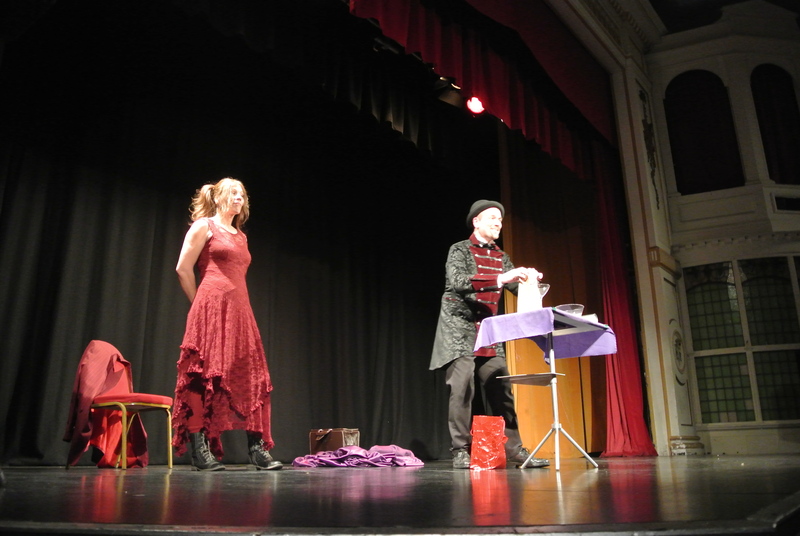 My favourite thing about The Magic Tales was hearing the gasps of amazement from the audience (children and adults!). For many this was their first magic show, and Mario and Lady Vee lit a spark of wonder they will treasure for years. On behalf of BRAG and the rest of the Audience last night, I would like to thank you for an amazing evening of entertainment.Many of the people as they left last night said how much they had enjoyed both the magic and the humour. Thank you so much!